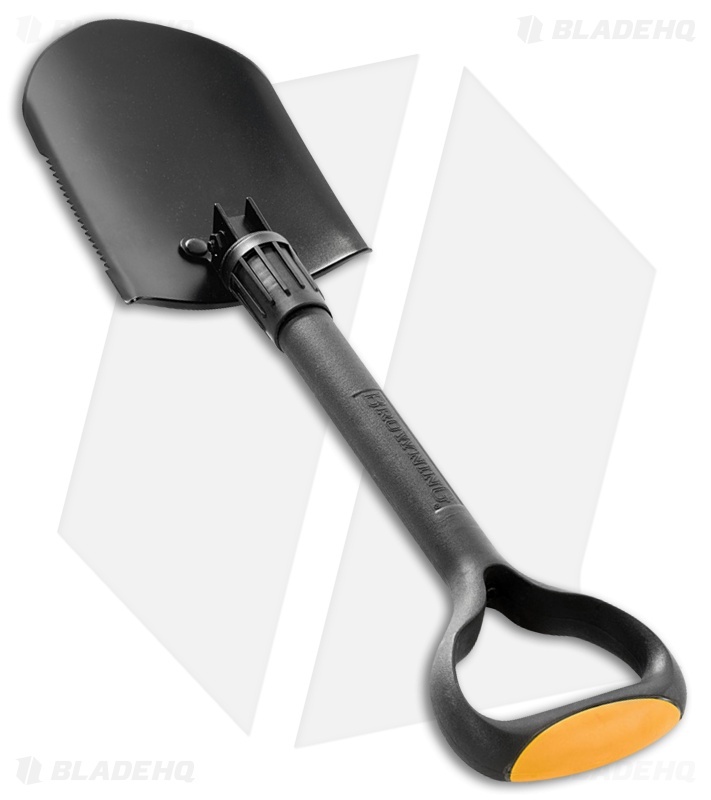 The Browning Outdoorsman Camp Shovel, designed by Russ Kommer, is great for camp outs or emergency preparedness. Whether you're looking for a compact shovel to keep in your vehicle when you head out off the beaten path, or if you're looking for an all around camping tool, the outdoorsman shovel has you covered. 1055 carbon steel head with a black finish and partially serrated edge. Folds into different positions for different tasks, or for storage. Tubular metal, D-shaped handle with a yellow grip.